For the 17th-century Roman Catholic priest who popularized the Memorare, see Father Claude Bernard. Claude Bernard (French: [bɛʁnaʁ]; 12 July 1813 – 10 February 1878) was a French physiologist. Historian I. Bernard Cohen of Harvard University called Bernard "one of the greatest of all men of science". Among many other accomplishments, he was one of the first to suggest the use of blind experiments to ensure the objectivity of scientific observations. He originated the term milieu intérieur, and the associated concept of homeostasis (the latter term being coined by Walter Bradford Cannon). In 1834, at the age of twenty-one, he went to Paris, armed with this play and an introduction to Saint-Marc Girardin, but the critic dissuaded him from adopting literature as a profession, and urged him rather to take up the study of medicine. This advice Bernard followed, and in due course he became interne at the Hôtel-Dieu de Paris. In this way he was brought into contact with the great physiologist, François Magendie, who served as physician at the hospital. Bernard became 'preparateur' (lab assistant) at the Collège de France in 1841. Memorial plaque in Paris marking the site of Claude Bernard's laboratory from 1847 until his death in 1878. In 1845, Bernard married Marie Françoise "Fanny" Martin for convenience; the marriage was arranged by a colleague and her dowry helped finance his experiments. In 1847 he was appointed Magendie's deputy-professor at the college, and in 1855 he succeeded him as full professor. His field of research was considered inferior at the time, the laboratory assigned to him was simply a "regular cellar". Some time previously Bernard had been chosen the first occupant of the newly instituted chair of physiology at the Sorbonne, but no laboratory was provided for his use. It was Louis Napoleon who, after an interview with him in 1864, repaired the deficiency, building a laboratory at the Muséum national d'Histoire naturelle in the Jardin des Plantes. At the same time, Napoleon III established a professorship which Bernard accepted, leaving the Sorbonne. In the same year, 1868, he was also admitted a member of the Académie française and elected a foreign member of the Royal Swedish Academy of Sciences. When he died on 10 February 1878, he was accorded a public funeral – an honor which had never before been bestowed by France on a man of science. He was interred in Père Lachaise Cemetery in Paris. Claude Bernard's aim, as he stated in his own words, was to establish the use of the scientific method in medicine. He dismissed many previous misconceptions, took nothing for granted, and relied on experimentation. Unlike most of his contemporaries, he insisted that all living creatures were bound by the same laws as inanimate matter. 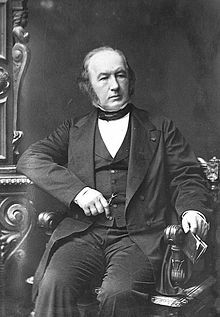 Claude Bernard's first important work was on the functions of the pancreas, the juice of which he proved to be of great significance in the process of digestion; this achievement won him the prize for experimental physiology from the French Academy of Sciences. A second investigation – perhaps his most famous – was on the glycogenic function of the liver; in the course of his study he was led to the conclusion, which throws light on the causation of diabetes mellitus, that the liver, in addition to secreting bile, is the seat of an internal secretion, by which it prepares sugar at the expense of the elements of the blood passing through it. A third research resulted in the discovery of the vasomotor system. In 1851, while examining the effects produced in the temperature of various parts of the body by section of the nerve or nerves belonging to them, he noticed that division of the cervical sympathetic nerve gave rise to more active circulation and more forcible pulsation of the arteries in certain parts of the head, and a few months afterwards he observed that electrical excitation of the upper portion of the divided nerve had the contrary effect. In this way he established the existence of vasomotor nerves, both vasodilator and vasoconstrictor. The study of the physiological action of poisons was also of great interest to him, his attention being devoted in particular to curare and carbon monoxide gas. The physiologist is no ordinary man. He is a learned man, a man possessed and absorbed by a scientific idea. He does not hear the animals' cries of pain. He is blind to the blood that flows. He sees nothing but his idea, and organisms which conceal from him the secrets he is resolved to discover. Bernard practiced vivisection, to the disgust of his wife and daughters who had returned at home to discover that he had vivisected their dog. The couple was officially separated in 1869 and his wife went on to actively campaign against the practice of vivisection. His wife and daughters were not the only ones disgusted by Bernard's animal experiments. The physician-scientist George Hoggan spent four months observing and working in Bernard's laboratory and was one of the few contemporary authors to chronicle what went on there. He was later moved to write that his experiences in Bernard's lab had made him "prepared to see not only science, but even mankind, perish rather than have recourse to such means of saving it." In his major discourse on the scientific method, An Introduction to the Study of Experimental Medicine (1865), Bernard described what makes a scientific theory good and what makes a scientist important, a true discoverer. Unlike many scientific writers of his time, Bernard wrote about his own experiments and thoughts, and used the first person. Known and Unknown. What makes a scientist important, he states, is how well he or she has penetrated into the unknown. In areas of science where the facts are known to everyone, all scientists are more or less equal—we cannot know who is great. But in the area of science that is still obscure and unknown the great are recognized: "They are marked by ideas which light up phenomena hitherto obscure and carry science forward." Induction and Deduction. Experimental science is a constant interchange between theory and fact, induction and deduction. Induction, reasoning from the particular to the general, and deduction, or reasoning from the general to the particular, are never truly separate. A general theory and our theoretical deductions from it must be tested with specific experiments designed to confirm or deny their truth; while these particular experiments may lead us to formulate new theories. Cause and Effect. The scientist tries to determine the relation of cause and effect. This is true for all sciences: the goal is to connect a "natural phenomenon" with its "immediate cause". We formulate hypotheses elucidating, as we see it, the relation of cause and effect for particular phenomena. We test the hypotheses. And when an hypothesis is proved, it is a scientific theory. "Before that we have only groping and empiricism." Theories are only hypotheses, verified by more or less numerous facts. Those verified by the most facts are the best, but even then they are never final, never to be absolutely believed. We must always try to disprove our own theories. "We can solidly settle our ideas only by trying to destroy our own conclusions by counter-experiments." What is observably true is the only authority. If through experiment, you contradict your own conclusions—you must accept the contradiction—but only on one condition: that the contradiction is PROVED. Although the application of mathematics to every aspect of science is its ultimate goal, biology is still too complex and poorly understood. Therefore, for now the goal of medical science should be to discover all the new facts possible. Qualitative analysis must always precede quantitative analysis. Truth vs. Falsification. The "philosophic spirit", writes Bernard, is always active in its desire for truth. It stimulates a "kind of thirst for the unknown" which ennobles and enlivens science—where, as experimenters, we need "only to stand face to face with nature". The minds that are great "are never self-satisfied, but still continue to strive." Among the great minds he names Joseph Priestley and Blaise Pascal. ^ Daston, Lorraine. "Scientific Error and the Ethos of Belief". Social Research. 72 (Spring 2005): 18. ^ a b c d e D. Wright Wilson (June 1914). "Claude Bernard". Popular Science. Bonnier Corporation: 567–578. ^ John G. Simmons (2002). Doctors and Discoveries: Lives That Created Today's Medicine. Houghton Mifflin Harcourt. p. 17. ISBN 978-0-618-15276-6. Upon his death on February 10, 1878, Bernard received a state funeral – the first French scientist to be so honored. The procession ended at Pere Lachaise cemetery, and Gustave Flaubert described it later with a touch of irony as 'religious and very beautiful'. Bernard was an agnostic. ^ Donnet, V (1998). "[Was Claude Bernard an atheist?]". Hist Sci Med. 32: 51–5. PMID 11625277. ^ Vallery-Radot, René (1 March 2003). Life of Pasteur 1928. p. 42. ISBN 9780766143524. ^ F. G. Young (1957). "Claude Bernard and the Discovery of Glycogen". British Medical Journal. 1 (5033 (Jun. 22, 1957)): 1431–7. doi:10.1136/bmj.1.5033.1431. JSTOR 25382898. PMC 1973429. ^ Bernard, C. (1974) Lectures on the phenomena common to animals and plants. Trans Hoff HE, Guillemin R, Guillemin L, Springfield (IL): Charles C Thomas ISBN 978-0-398-02857-2. ^ Bernard, Claude (1974). Lectures on the Phenomena of Life Common to Animals and Plants. Hebbel E. Hoff, Roger Guillemin, Lucienne Guillemin (trans.). Springfield, Illinois. USA: Charles C Thomas. p. 84. ISBN 0-398-02857-5. ^ Preece, Rod (2002). Awe for the Tiger, Love for the Lamb: A Chronicle of Sensibility to Animals. p. 309. ISBN 9780774808972. ^ Mary Midgley (1998). Animals and Why They Matter. University of Georgia Press. p. 28. ^ Bernard, Claude (1865). Introduction à l'étude de la médecine expérimentale. Paris. ^ Bernard (1957), p. 42. ^ Bernard (1957), p. 164. ^ Bernard (1957), p. 74. ^ Bernard (1957), p. 165. ^ Bernard (1957), p. 55. ^ Bernard (1957), p. 56. ^ Bernard (1957), p. 137. ^ Bernard (1957), p. 221. ^ Bernard (1957), p. 222. ^ Bernard (1957), p. 37. ^ a b Bernard (1957), p. 38. ^ Bernard (1957), p. 22. This article incorporates text from a publication now in the public domain: Chisholm, Hugh, ed. (1911). "Bernard, Claude" . Encyclopædia Britannica. 3 (11th ed.). Cambridge University Press. Grmek, M.D. (1970–80). "Bernard, Claude". Dictionary of Scientific Biography. 2. New York: Charles Scribner's Sons. pp. 24–34. ISBN 978-0-684-10114-9. Holmes, Frederic Lawrence. Claude Bernard and Animal Chemistry: The Emergence of a Scientist. Harvard University Press, 1974. Olmsted, J. M. D. and E. Harris. Claude Bernard and the Experimental Method in Medicine. New York: Henry Schuman, 1952. Wise, Peter. "A Matter of Doubt – the novel of Claude Bernard". CreateSpace, 2011 and "Un défi sans fin – la vie romancée de Claude Bernard" La Société des Ecrivains, Paris, 2011. Wikimedia Commons has media related to Claude Bernard. (in French) Biography and genealogy of Claude Bernard. (in French) Claude Bernard's works digitized by the BIUM (Bibliothèque interuniversitaire de médecine et d'odontologie, Paris), see its digital library Medic@.